BBM for windows phone 8 devices is already rumored and is in progress according to the report from BlackBerry’s official twitter account. 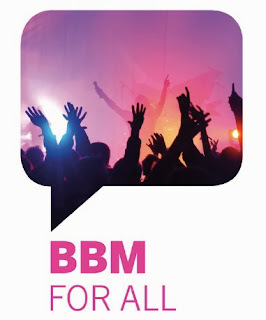 As we know, BBM is now available for Android and iOS, but what next? Do we will be getting the XAP format for BBM application? As said by BlackBerry, they are working hard to bring the application for windows phone 8 and windows phone 7.5 devices. According to the report, Nokia Lumia 520, Lumia 620, Lumia 625, Lumia 720, Lumia 820, Lumia 920, Lumia 1020 and all Nokia and HTC devices running the Windows Phone 8 (WP8) platform will be getting the update early from those devices running Windows Phone [b]7.5 Mango like Nokia Lumia 510, Lumia 610, Lumia 710, Lumia 800 and the Lumia 900. Well, I really hope to see this coming to pass soonest if actually they are working on it. Though BlackBerry took a long time to confirm the BBM app for Android and iOS so its obvious that they will take some more time to confirm the BBM app for windows phone platform. In other words, there is hope for Nokia users. Let’s wait and see what next.